What do you do when some of your colleagues and competitors are putting forth pristine, pre-curated, glitch-free video presentations? You leverage the unique strengths of the live platform and you leverage them hard. Bethesda, Ubisoft and especially Sony really went in on the idea of live music performances during their 2018 shows. The former even performed an entire song at the top of proceedings courtesy of Andrew W.K. and a live band. Ubisoft’s almost-annual Just Dance series medley was moved to the top of the French giant’s own spectacle, which was odd but arguably a smart move given how previous instances have affected pacing. Sony packed two separate instrumental performances with tonal ties to two of the company’s biggest games, while the entirety of its Dreams footage consisted of adorable/unsettling animated creatures blaring their own musical creations. Your mileage may vary on the value of these interludes but if you ask me they added just the right amount of E3 zaniness. 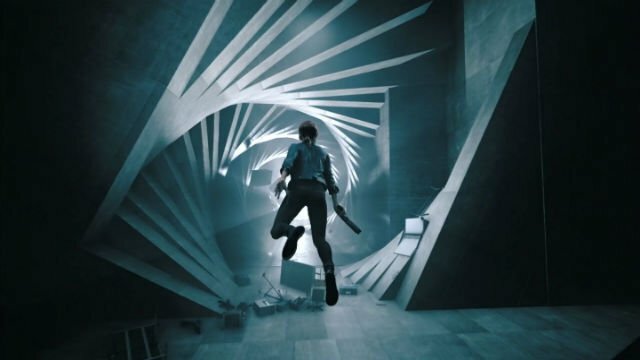 What do all of the following games have in common: Control, Wolfenstein Youngblood, Shadow of the Tomb Raider, Assassin’s Creed Odyssey, The Last of Us Part II, Beyond Good & Evil 2? 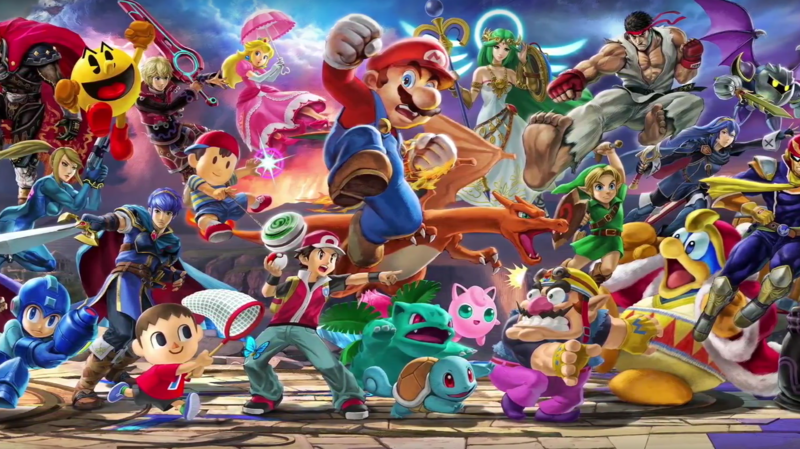 Well, together they make up a significant percentage of my personal picks of the show this year, I’m extremely excited for each and every one of them, and they all feature female characters in a leading role (You can also cheat by adding in games like Cyberpunk 2077, which features a robust character creator, and Super Smash Bros Ultimate, which naturally packs a whole heap of female characters including the debut of Daisy and an incredible Zelda redesign). As recently as the end of 2015 I wrote up a yearly trends post that pointed out the disappearing mistrust in prominent female characters among major game publishers, but that paragraph couldn’t come up with many actual lead characters. 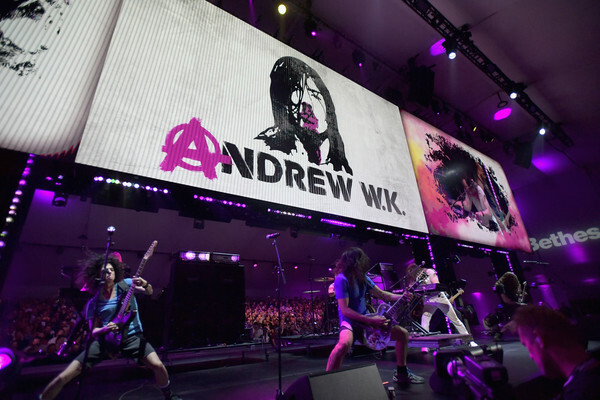 Now their presence is a defining aspect of the overall E3 tapestry, which cannot hurt the prospect of attracting more players and artistic voices to videogames. Over the last decade E3 has become known as prime digital real estate for the good old “shadow drop” (also sometimes referred to as a “stealth drop”or whatever Reddit wants to call it this month), i.e. “Surprise! This game/DLC is out THIS WEEK/TOMORROW/RIGHT NOW!” However, its arguable that following its novel heyday around the 2013/2014 E3 seasons, the trend fell off somewhat. After all, it’s difficult to market a game to a wide audience without some kind of build-up. Enter E3 2018, which has almost certainly seen the heaviest stream of shadow dropped content for the event – or any event of its kind – in history. EA kicked things off in fine fashion when they announced Unravel Two and released it immediately (At the time of writing I have just completed the game in co-op and it’s easily one of my favourite two-player platforming experiences in recent memory). Then Microsoft added some decently big new additions to the rotational Game Pass service and there they were – Fallout 4, The Division and The Elder Scrolls Online, ready to go on Xbox consoles the world over. Bethesda dropped Fallout Shelter, its ludicrously popular phone game, on console digital storefronts right after its own show, then Sony pulled the unprecedented move of adding a PS Plus free game mid-month – and it was none other than Call of Duty: Black Ops III. 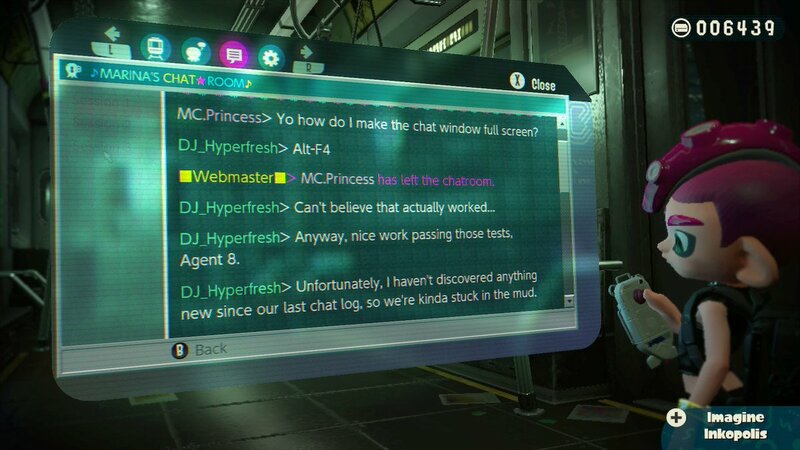 But it wasn’t until Nintendo’s digital presentation and subsequent Treehouse stream that 2018 really staked its claim as the year to keep your online stores refreshed. Not only did the company throw down a fresh new mode for Xenoblade Chronicles 2 players, a meaty new demo for Octopath Traveller, the long-awaited Octo Expansion DLC for Splatoon 2 and the original arcade version of Donkey Kong – all virtually without warning – during the course of E3, but they topped the movement off with the juicy double-whammy of Hollow Knight and Fortnite, two of the most talked-about games this year among Switch fans. Right there in the eShop, ready to go. Mint. It seems that every year, as the early-June videogame leaks continue to get more frequent, the wayward expectations of E3 onlookers also intensify. 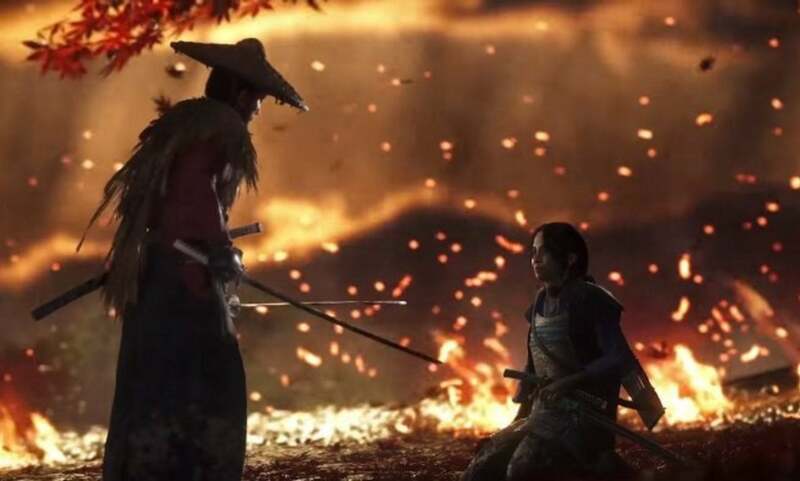 Though the E3 exhibitors themselves – particularly Sony – have done the level-headedness of gamers no favours in recent years, there is still something to be said for perceptiveness among discerning fans. When, for example, Nintendo says their presentation will focus heavily on Smash Bros and games releasing in the remainder of 2018, maybe don’t be shocked when their presentation focuses heavily on Smash Bros and games releasing in the remainder of 2018. When Sony goes out of its way to say it will structure its showing around four major games – The Last of Us Part II, Death Stranding, Ghost of Tsushima and Spiderman, maybe don’t be shocked when it does just that – although in that case I will admit it’s hard to defend the extremely weird, inconsistent and arguably ineffective pacing we saw from the market leader this year. When EA says it’s doing an E3 show – well, don’t expect it to do anything differently from last year, or the year before, or the year before that. And sure, some degree of the unexpected is to be expected at E3 – I can’t deny that. When unknowns like Square Enix don’t set the world on fire with massive headlines, it can be easy to ask why they bother to stage a presentation at all. But that hardly changes the fact that the best advice for an E3 watcher is to temper your pie-in-the-sky fantasies. That will always be true. The protests of developers, publishers and a healthy slice of the videogame media will tell you that comparing different companies’ E3 showcases is ultimately pointless at best, harmless at worst. But that won’t stop people comparing all aspects of the various conferences, and that conversation can affect the public perception of a major videogame company – Just ask Microsoft, whose early Xbox One-era showings were instrumental to the company’s lagging fortunes behind Playstation. However, in the 2018 wash-up I’ve seen few neutral pundits who haven’t picked Microsoft as their pick for the most impressive conference of E3. I happen to agree. It’s increasingly difficult to win hearts and minds at E3 these days when your presentation insists on happening so early on in proceedings – as Microsoft’s does – but the sheer weight of the first-look announcements on the Xbox stage this year was very difficult to overcome for the others – especially with that delicious debut of Cyberpunk 2077 serving as a surprise finale. Let’s not forget the hard-working and endlessly likeable Phil Spencer’s crucial minute in the spotlight as he flexed that MS money and announced the formation/acquisition of five new first-party studios, either. That kind of a statement of intent could well be a game-changer for Xbox fans down the line.